Track the expiration of items. Trace defective items back to the batch that it belonged. Scenario: Tom owns a medical store where most of the items that he deals with are bound to a limited shelf life. Business had been smooth until one day he received a complaint from a consumer who was delivered an item that was long expired. As taken aback as he was, he could not figure out from which of the boxes in his storeroom, the item was sold! To prevent such mishaps in the future, he immediately sets up the Batch Tracking feature. Now along with basic stock tracking, he is also in complete control of his disposable stock. 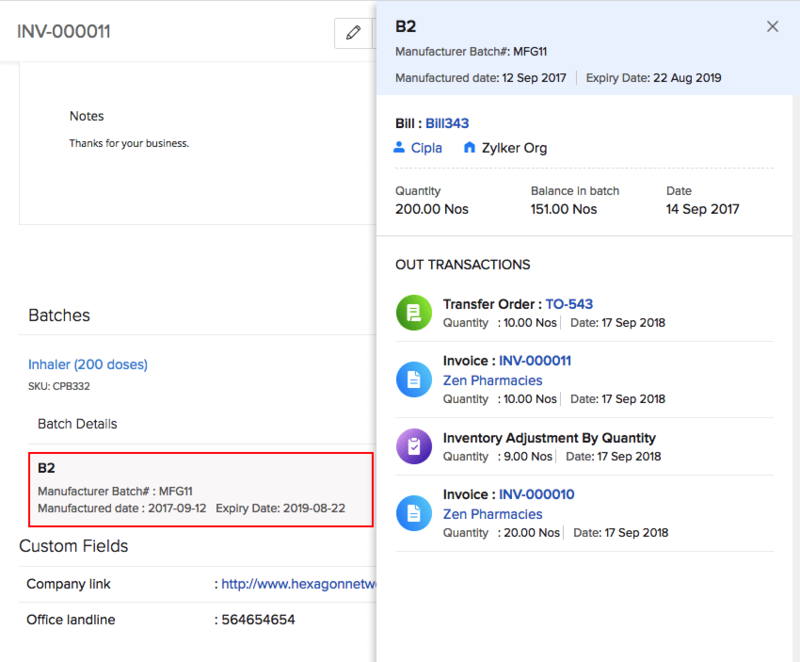 In Zoho Inventory, you will be able to record the items you receive as batches along with its manufactured date and expiry date. And later when you are looking to make a sale, you can safely pick items from those batches that are well within its usage period. Navigate to Settings(Gear Icon) >> Preferences >> Items. Select Batch Tracking as your method of stock tracking under ‘How do you want to track your items?’. Click Save at the bottom to apply your settings. Zoho Inventory organizations that have subscribed to Standard Plan or above only will have access to this feature. You can enable this feature as an add-on in Zoho Books to have access to it in that application. Navigate to the Items module on the sidebar. Open a batch tracked item. Go to the Batch Details tab. Click on a batch reference number to expand its details. The details include batch creation date, the transaction within which the batch was created, the initial and current quantity in the batch and the transactions with which the batch ref. number is associated. 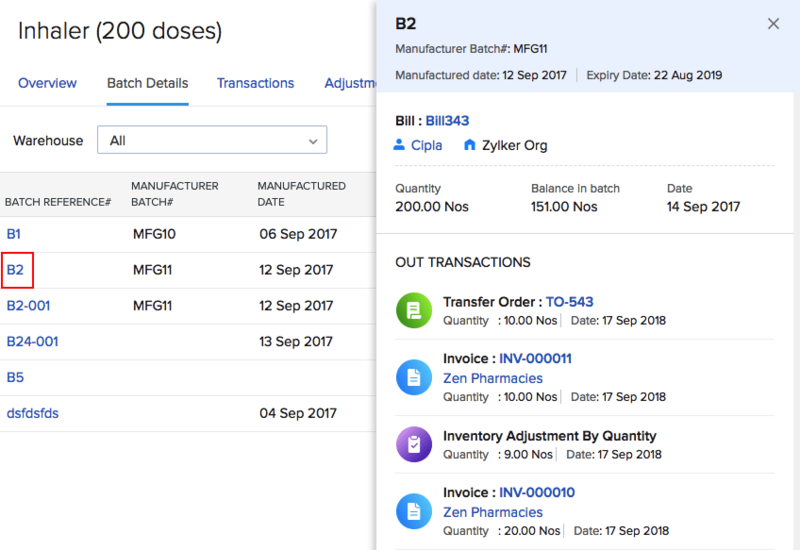 Likewise, you can also click on the batch number displayed under a transaction (invoice, transfer order, bill and adjustment) to expand its details.